Illegal trade in bushmeat and pets is an intense and growing problem threatening wildlife. 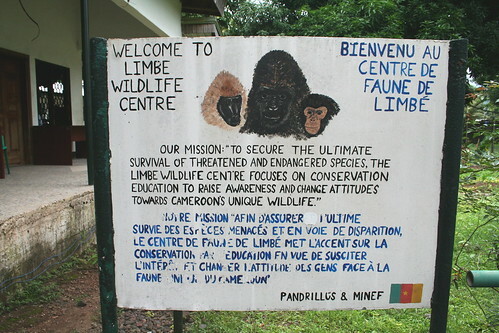 Limbe Wildlife Centre (LWC) is a wildlife rescue and rehabilitation project dedicated to the conservation and rehabilitation of wild animals. 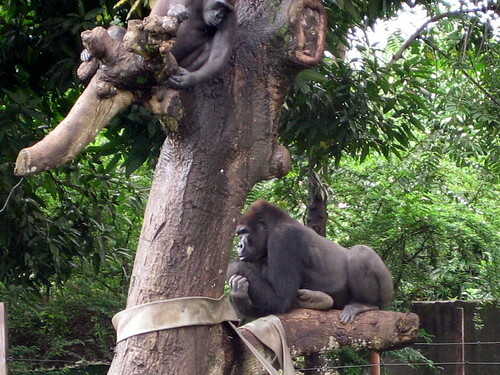 Founded in 1993 by the Pandrillus Foundation, other NGOs, and the government of Cameroon, Limbe Wildlife Centre has become a successful sanctuary for a variety of wildlife; including monkeys, chimpanzees, gorillas, reptiles and bird species. Cameroon is also home to a largely diverse amount of plant species and LWC is concerned with the conservation of plant life as well. The Centre plays an active role in the implementation and enforcement of national wildlife protection laws, providing a place for seized animals to recuperate and received medical attention if needed. Rescuing animals is at the core of their purposes and all of the animals they take in are victims of illegal bushmeat activities, have been orphaned, or were kept as pets. As a result, these animals arrive in very poor condition and LWC rehabilitates these unfortunate animals through their Veterinary Care program. After they are quarantined for health risks, the animals are introduced to a group of their own species in order to make a transition into the more natural, wild way of life. LWC also believes that the success of conservation of plant and animals depends highly on education. Their Centre has an amazingly large number of native visitors, which is uncommon in that area of the world. When they come to the facility, they are able to observe these wild animals and gain respect for them. They also facilitate nature clubs, a school outreach program, and conservation workshops to encourage the youth of the country to get involved in and support conservation. It is through education that they hope that their conservation efforts will be carried on through the future. 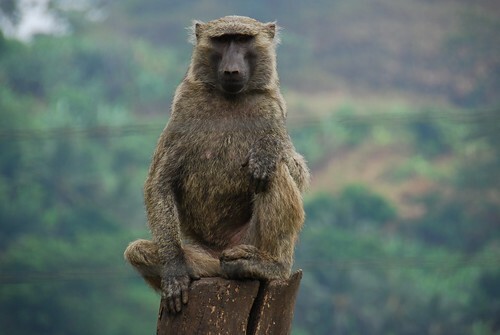 Limbe Wildlife Centre gives hope to animals that may not otherwise stand a chance at survival and contributing to the proliferation of their species. Their rehabilitation work is extraordinary and extremely important to conservation efforts for Cameroon’s wildlife. To learn more, please visit their website. This entry was posted on October 26, 2010 at 7:59 pm and is filed under Organization of The Day with tags Africa, animal blog, animal blogs, Animal Rights, Animal Trafficking, Animals, animals blog, Anti Poaching, apes, bushmeat, Cameroon, central Africa, chimps, CITES, Community, Conservation, Culture, Current Events, Education, Endangered Species, Environment, Extinction, Gorillas, habitat loss, illegal, Illegal Animal Trade, illegal hunting, Illegal Wildlife Trade, Monkeys, Pandrillus, poaching, Primates, stop poaching, wildlife, wildlife blog, wildlife blogs, wildlife conservation, wildlife conservation blog. You can follow any responses to this entry through the RSS 2.0 feed. You can leave a response, or trackback from your own site. Good on you Cameroon & Limbe. It’s never too late.